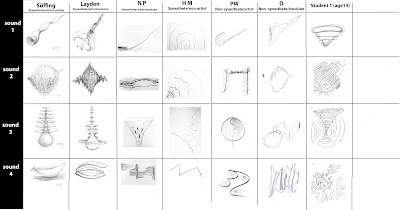 Christine Söffing and Timothy B Layden both have sound to shape synaesthesia and have done comparative experiments using specific sound stimuli to create drawings of the shapes they see with these sounds. Their initial results revealed strong correspondences, which peeked their interest and brought forth further questions. To answer some of these questions they broadened their experiments of sound drawing to a wider group, including other synaesthetes, artists, musicians and adolescents. This on going research will continue through investigation involving attendees to the V Congress on synaesthesia, science and art taking place in Spain, May 2015. The results of their experiments will be compared with previous research to find further correspondences and other interesting findings. Their results are presented in relation to their own synaesthetic experiences of sound and how it is used in their art practices. 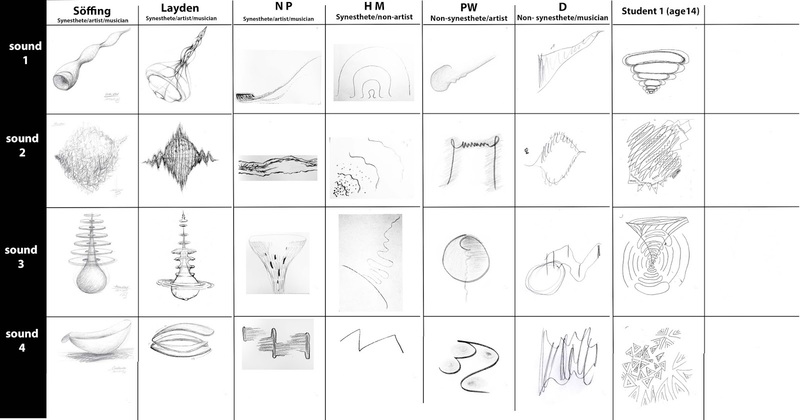 The questions around the synaesthetic experience of the shape of sounds and the results of Söffing, Layden and Schmidkte's initial experiments are described within this paper, opening doors for further discussion and questions around this subject.